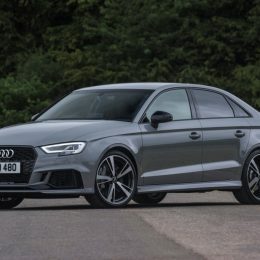 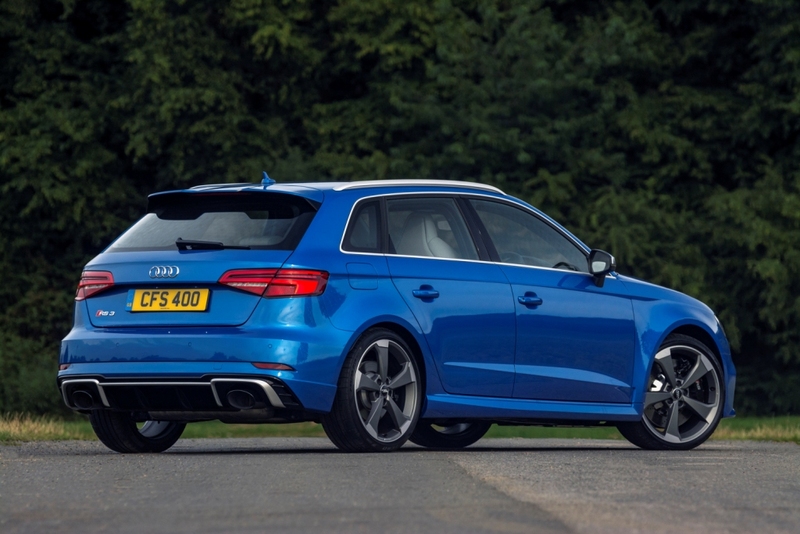 High performance subsidiary Audi Sport has taken a two-pronged approach to bringing 400PS to the compact car segment for the first time – the latest iteration of the redoubtable Audi RS 3 is about to touch down in the UK in familiar five-door Sportback form but also now as a striking Saloon. 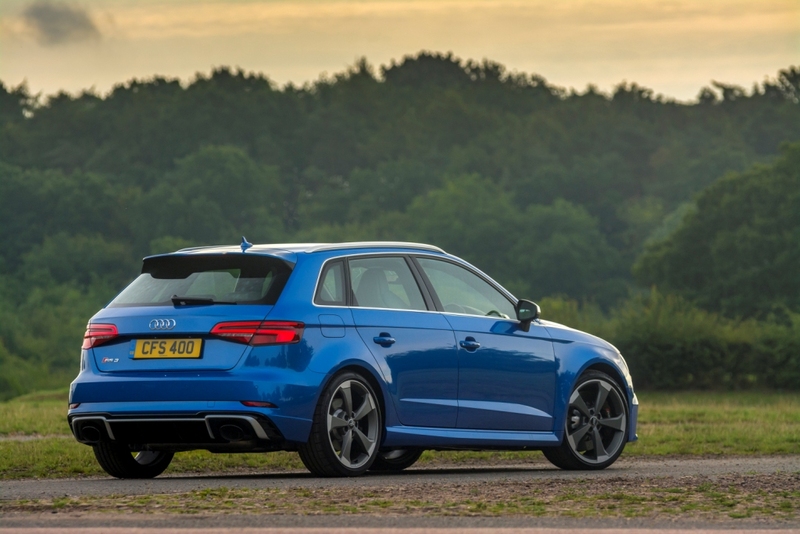 Both versions are now available to order, the Sportback priced from £44,300 OTR and the Saloon from £45,250 OTR. 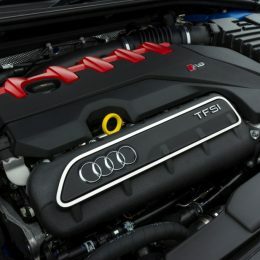 Common to both is of course the most powerful five-cylinder engine ever to empower a series production Audi, its formidable output unlocking a 0-62mph time of just 4.1 seconds and 174mph potential in each case and its unique-in-class configuration guaranteeing a melodious accompaniment to every mile. 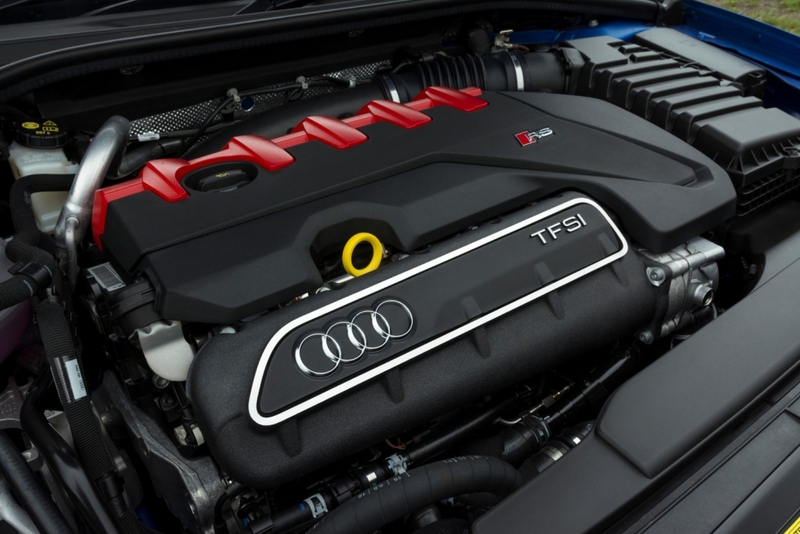 The new, 26 kilogram-lighter 2.5 TFSI serves up 480 Nm (354.0 lb-ft) of torque alongside its mighty 400PS output, and makes all of it available at between 1,700 and 5,850 rpm. 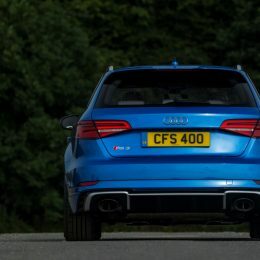 This is reflected in the 4.1-second sprint time and the top speed of 155mph which is achievable in both versions, the latter being extendable to 174mph on request. 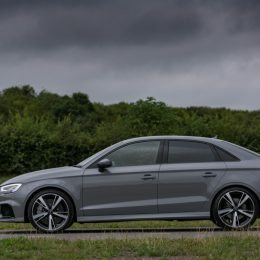 The unique sound of the five-cylinder unit intensifies the driving experience, and that sound can be modified at the touch of a button via the standard Audi drive select system with its Comfort, Dynamic, Auto and Individual modes. 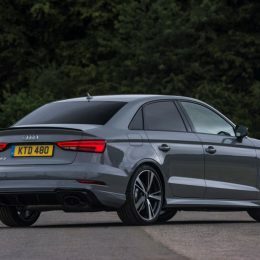 A seven-speed S tronic dual-clutch transmission channels the power of the 2.5 TFSI to the quattro permanent all-wheel drive system, and the driver can adjust the shift points, and the proportion of torque directed rearwards, through Audi drive select. 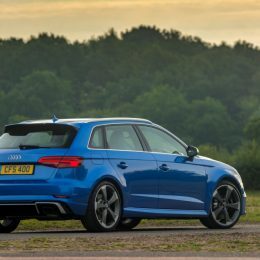 It also influences the operating characteristics of the progressive steering, engine management and adjustable exhaust flaps. 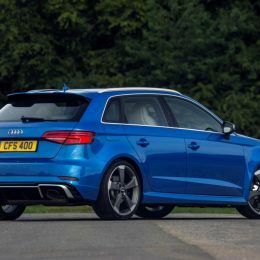 A sophisticated MacPherson strut front and four-link rear suspension, wheel-selective torque control and RS-specific Electronic Stabilisation Control (ESC) logic with higher thresholds also contribute to sound foundations for handling that is even more rewarding in this latest generation format. 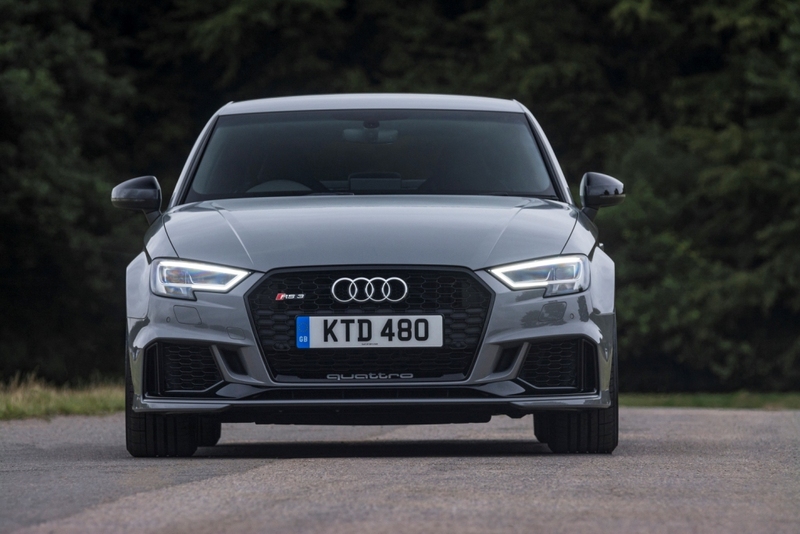 For drivers seeking the most intense RS experience, a bass-heavy RS sport exhaust system and RS sport suspension with Audi Magnetic Ride are available as options, and are also under the control of Audi drive select, while powerful carbon ceramic brakes can supplement the standard eight-piston disc set-up for drivers seeking to regularly exploit the performance potential to the absolute maximum. 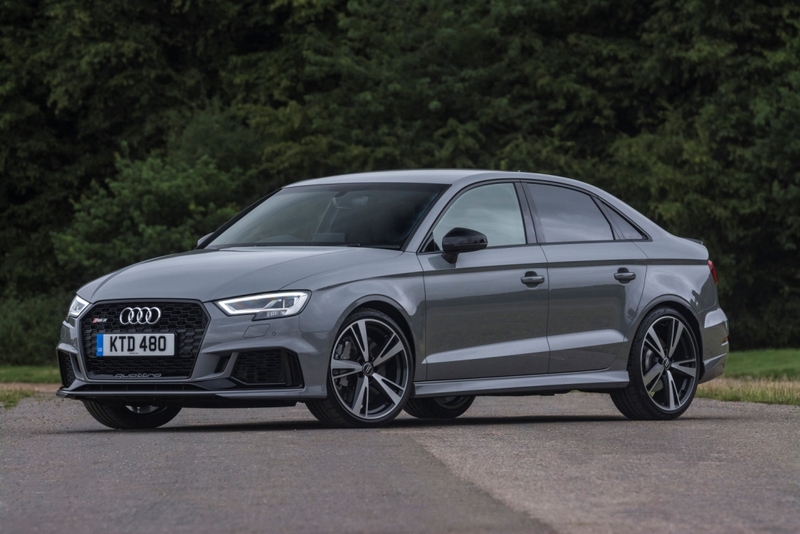 Versus an A3, the front track of the new RS 3 models is wider by 20 millimetres for an even more four-square stance, and the front wheel arches are subtly flared in recognition of this. 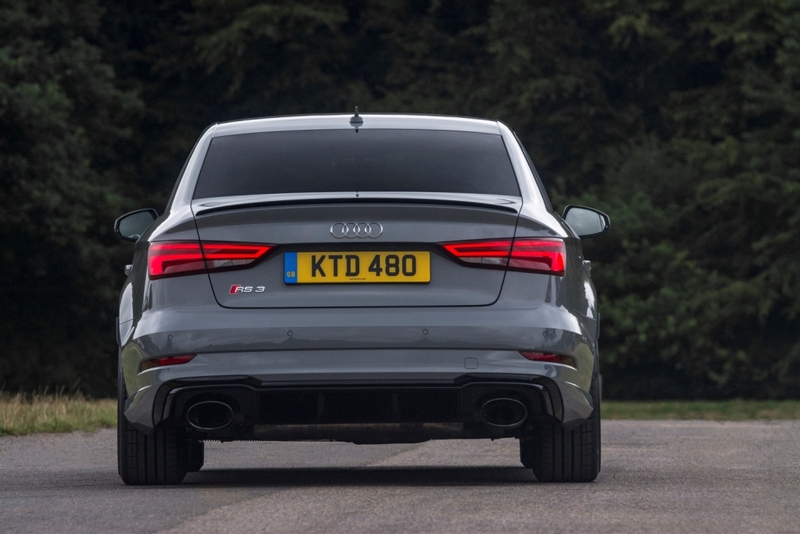 The rear axle is 14 millimetres wider than the standard. 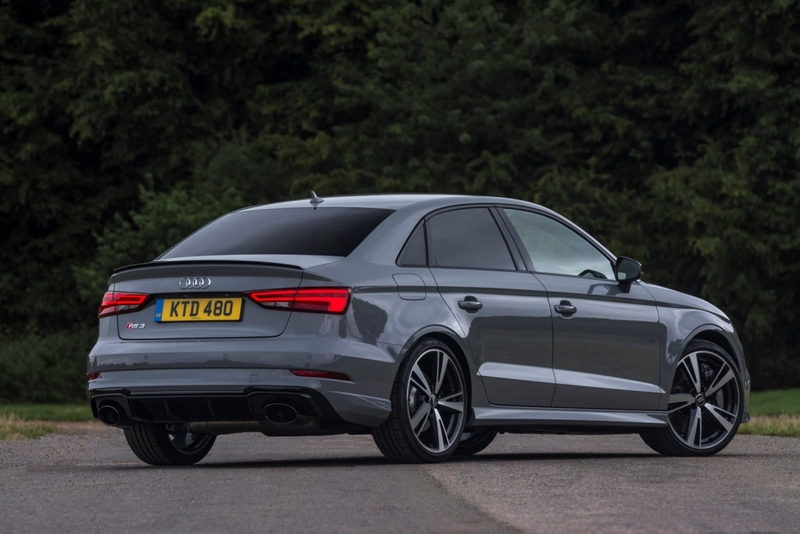 Sportback models sit on striking 19-inch ‘5-arm rotor‘ design alloy wheels, while the newly introduced Saloons feature a ‘5-arm blade’ design also with a 19-inch diameter. 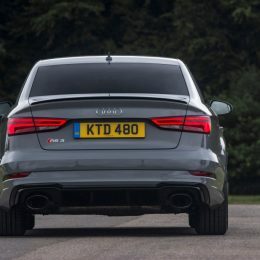 Beyond the flared arches and sizeable wheels the eye is also drawn to the RS-specific honeycomb single frame grille with its matt aluminium surround, the deep side skirts enhancing the profile and the rear spoilers – a roof-edge design with high gloss black inserts in the Sportback and an integrated bootlid lip spoiler in body colour in the Saloon. 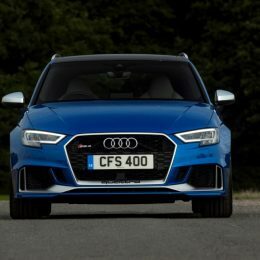 Standard LED headlights with their distinctive daytime running light signature also attract attention to both variants, and can be upgraded to even more sophisticated matrix LED units as an option. 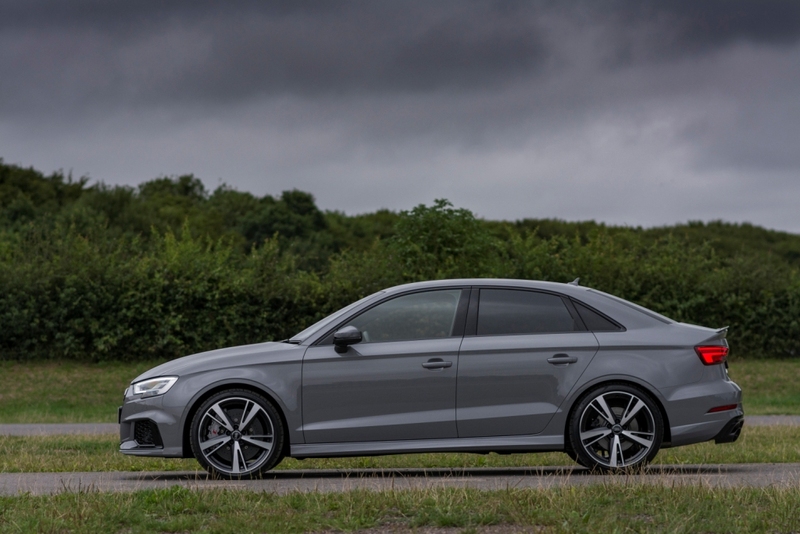 LEDs are also at the heart of the new Audi Beam feature, which is standard. 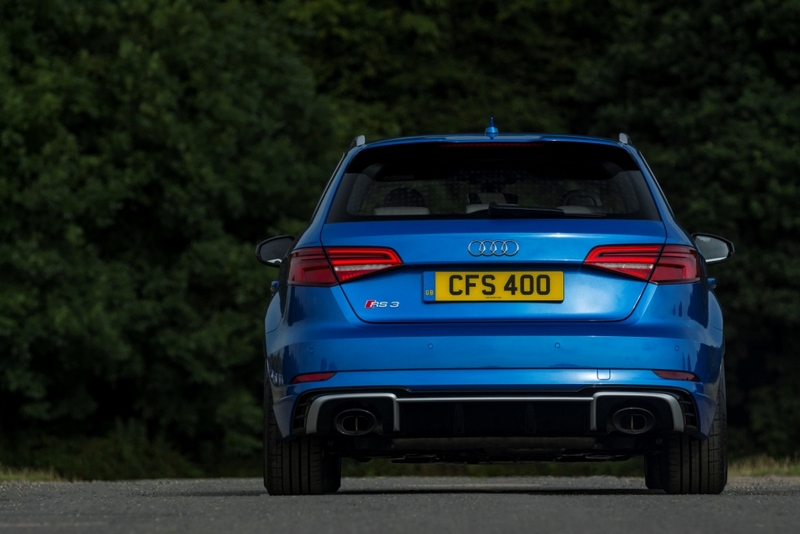 On entry to, or exit from, the RS 3 it projects the Audi Sport insignia onto the ground as another reminder of the car’s very special pedigree. 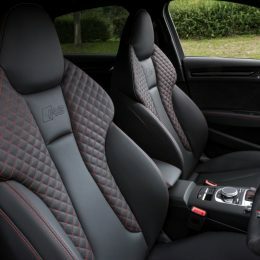 Once inside, the heated, RS-embossed and contrast-stitched front sport seats finished in black Fine Nappa leather and the leather and Alcantara flat-bottomed RS sport steering wheel immediately set the tone, and this is carried through into details such as the stainless steel pedals, titanium grey ‘optic 3D design’ inlays and extensive aluminium trim elements. 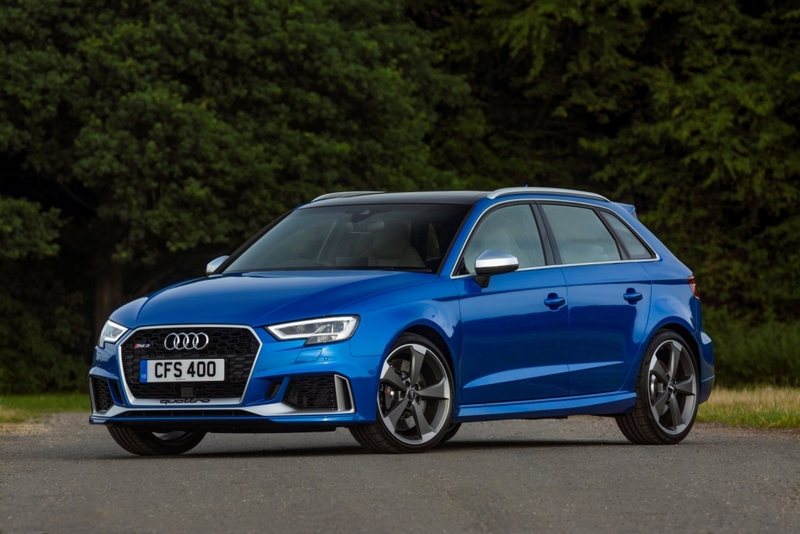 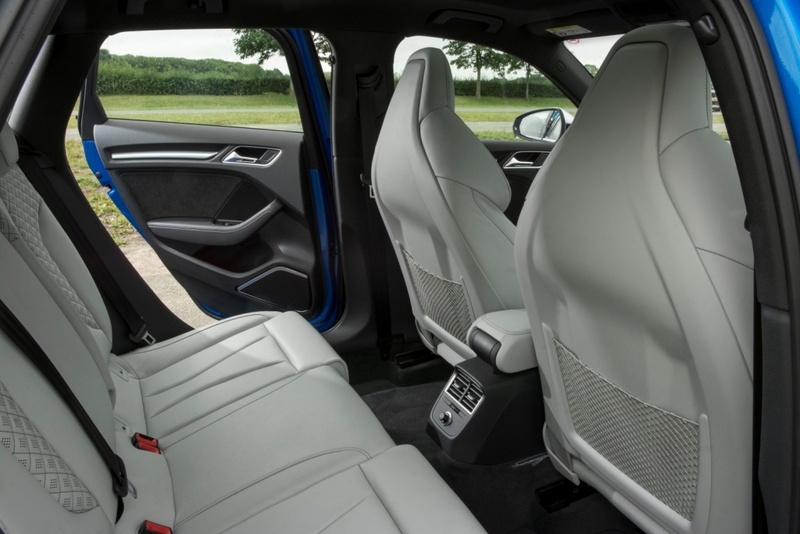 As an option, front Super Sport Seats also upholstered in Fine Nappa leather are available to hold occupants even more firmly, but no less comfortably, in place on the winding roads that are the natural habitat for the RS 3. 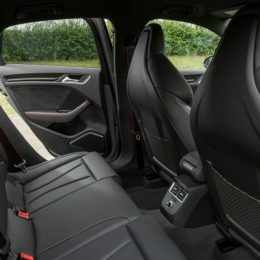 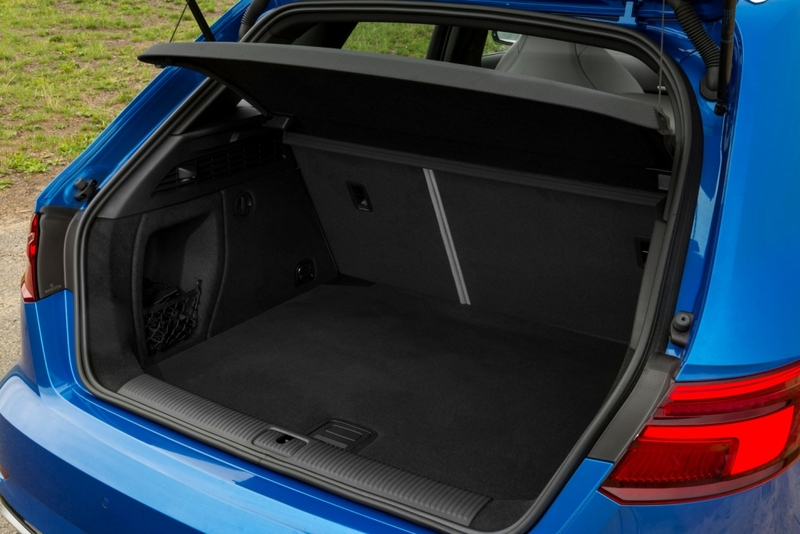 To differentiate the high performance flagships further still, customers can also choose an RS Design Pack that adds contrasting red stitching for the armrests, black Alcantara trimming with red stitching for the knee pads flanking the centre console, red accents in the air vents and red edging for the seatbelts, complemented by black floor mats with red contrast stitching and RS insignias. 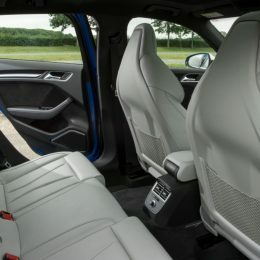 On ignition the fully digital Audi Virtual Cockpit is brought instantly to life – in this application it provides additional RS-specific screens giving driver-focused detail such as tyre pressure, torque and g-forces in the 12.3-inch high resolution display and also the seven-inch colour monitor that glides smoothly into place alongside it from its housing within the dashboard. 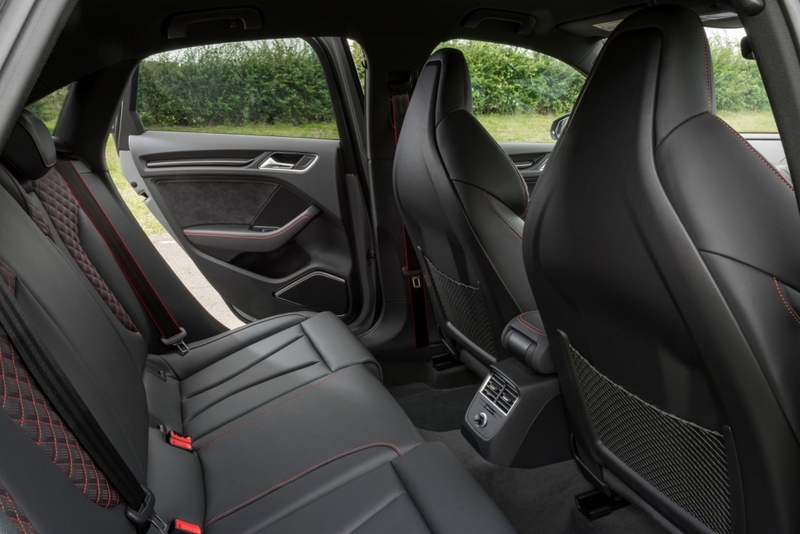 Detailed navigation mapping and route guidance also appears on both screens courtesy of the standard MMI Navigation Plus which is paired with a touch-sensitive control panel for easy data entry. 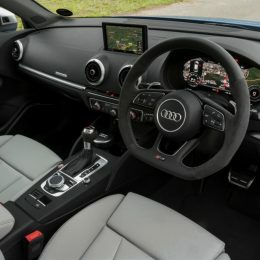 The Audi Smartphone Interface, another standard feature, enables selected apps to be displayed when an Android or iOS smartphone is connected, and the many benefits of internet connectivity are fully exploited by the integral Audi Connect Infotainment module which not only enables Google Earth mapping but also beams a wealth of information on everything from flight times and local fuel prices to weather and world news directly into the cabin. 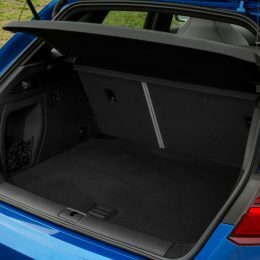 A three-year subscription to these online services is included. 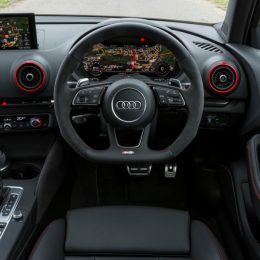 If the driver has a compatible smartphone loaded with the Audi MMI Connect app, and has also set up a myAudi account additional features such as online media streaming and in-car text message and email display are also opened up. 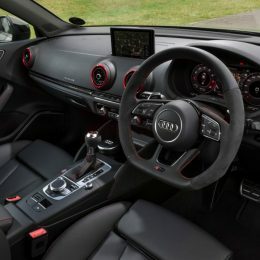 Technology-focused options for the new RS 3 duo include the Audi phone box, which inductively charges smartphones according to the Qi standard and connects it directly to the car’s aerial for optimal reception quality, and the Bang & Olufsen Sound System producing a mighty 705 watts of power via 14 speakers. 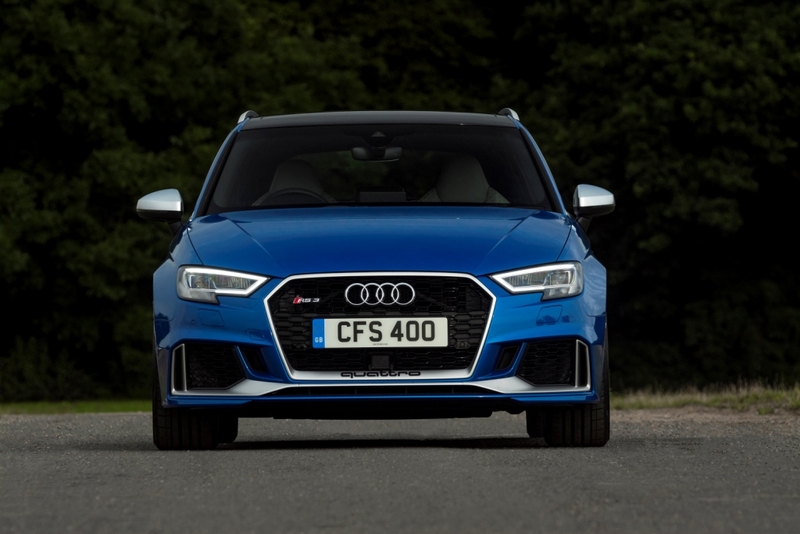 The newcomers are also at the technological forefront when it comes to driver assistance systems. 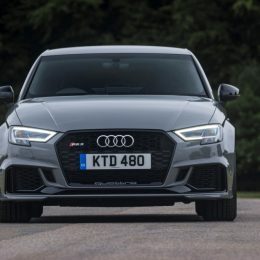 Eight of the available options which carry out tasks such as keeping the RS 3 at a defined distance from vehicles in front, assisting the driver when changing lanes or staying within the given lane, detecting traffic signs and helping to avoid frontal collisions and pedestrian accidents are bundled into the highly cost effective Driver Assistance Pack. 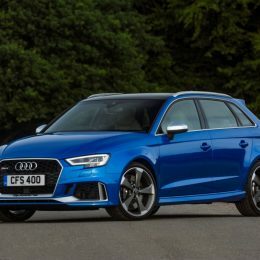 One particular highlight in the package is traffic jam assist, which can briefly take over not only acceleration and braking but also steering in slow-moving traffic at speeds of up to 37mph.